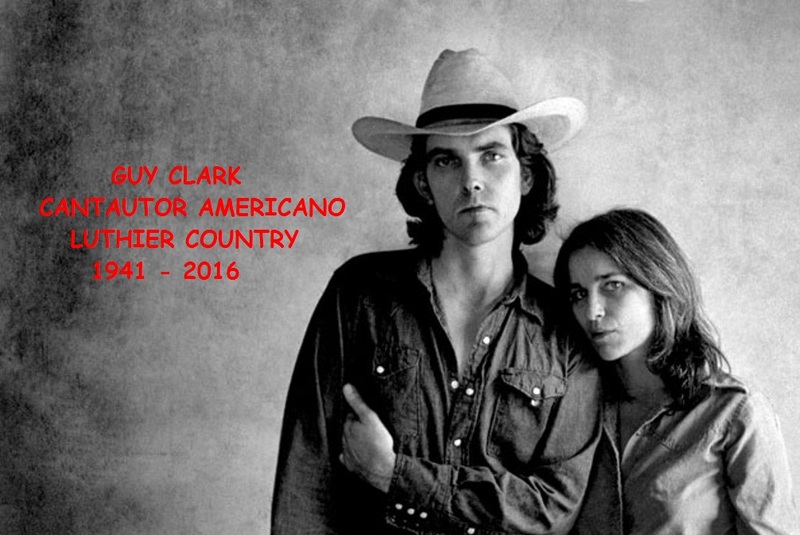 LAMENTABLES NOTICIAS PARA LA MÚSICA UNIVERSAL, SE PRESENTAN EL 17 DE MAYO DE 2016 EN Nashville, Tennessee, Estados Unidos, CUANDO A LA EDAD DE 74 AÑOS PERECE VÍCTIMA DE UN PROLONGADO Y DOLOROSO CÁNCER DE PULMÓN, ENFERMEDAD POR LA QUE YA HABÍA FALLECIDO SU ESPOSA SUSANA EN 2012, DEL CANTAUTOR, LUTHIER Y MÚSICO AMERICANO DE COUNTRY, GUY CLARK, CUYO TEMAS FUERON GRABADOS POR LAS GRANDES ESTRELLAS DEL GÉNERO. 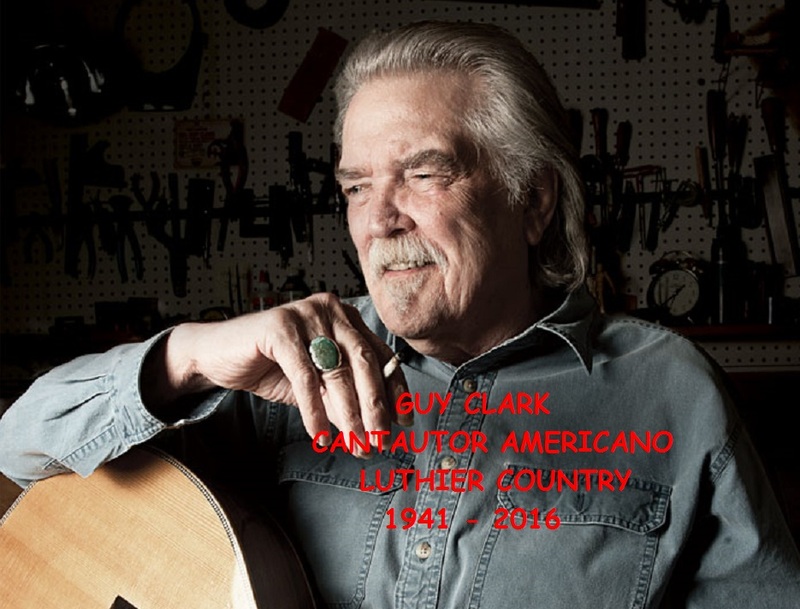 Guy Charles Clark, MÁS CONOCIDO EN EL MUNDO DE LA MÚSICA SIMPLEMENTE COMO GUY CLARK, VE LA LUZ EL 6 de noviembre de 1941 EN Monahans, Texas, Estados Unidos, DONDE CRECE ESCUCHANDO MÚSICA HISPANA EN GRANDES DOSIS, FACTOR QUE SIN DUDA, INFLUENCIO SU ESTILO, LOGRANDO EN SU CARRERA INFINIDAD DE ÉXITOS, ENTRE LOS QUE DESTACAN "L.A. Freeway" y "Desperados Waiting For A Train", QUE SE CONVIRTIERON EN LA PUNTA DEL ICEBERG PARA QUE LAS GRANDES ESTRELLAS DE COUNTRY DE ESE MOMENTO POSARAN SUS OJOS EN ÉL Y SE PELEARAN CADA UNA DE SUS COMPOSICIONES. ENTRE LA LARGA LISTA DE ARTISTAS QUE TUVIERON EL PLACER DE GRABAR SUS CANCIONES SE ENCUENTRAN: Jerry Jeff Walker, Johnny Cash, Vince Gill, Ricky Skaggs, Steve Wariner, Rodney Crowell y Nacho Vegas, MIENTRAS QUE TAMBIÉN ES LARGA LA LISTA DE ARTISTAS QUE SE CONVIRTIERON EN SUS PUPILOS, GRACIAS A QUE SU FAMILIA SOLÍA ABRIR LAS PUERTAS DE SU HOGAR A LOS NUEVOS TALENTOS DE LA MÚSICA DE NASHVILLE, ENTRE QUIENES SE CUENTAN: Steve Earle Y Rodney Crowell. 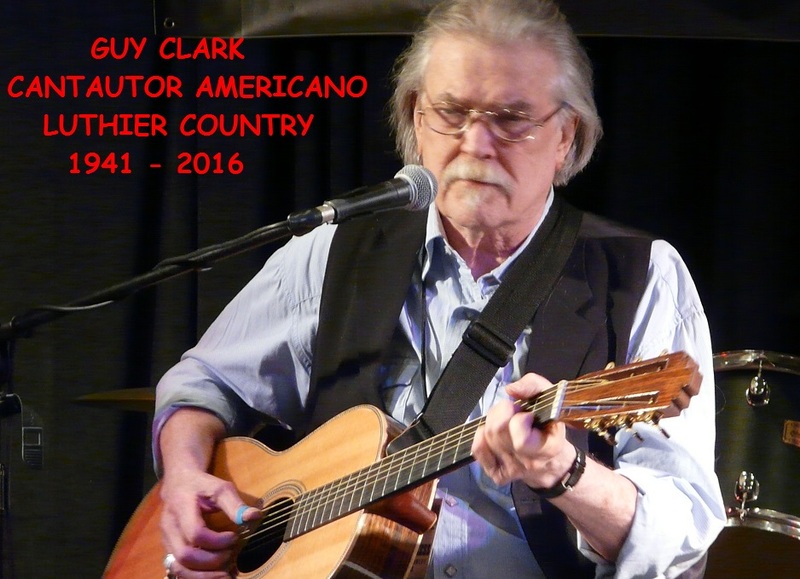 ENTRE LOS ÁLBUMES PARA RECORDAR DE ESTA LEYENDA FIGURAN: Old No. 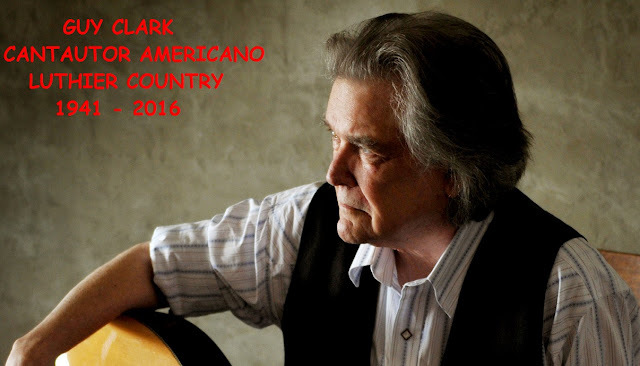 1 (1975), Texas Cookin' (1976), Guy Clark (1978), On The Road Live (1979), The South Coast of Texas (1981), Better Days (1983), Old Friends (1988), Boats to Build (1992), Dublin Blues (1995), Cold Dog Soup (1999), The Dark (2002), Workbench Songs (2006), UNA GRAN TRAYECTORIA QUE LE VALIÓ SU INGRESO AL SALON DE LA FAMA DE CANTAUTORES DE NASHVILLE DE ARTISTA QUE EN SU CANCIÓN “HOMEGROWN TOMATOES” DEJA UNA SOLICITUD PARA SU PROPIO FUNERAL: "Cuando muera, no me enterréis en una caja en un cementerio; sería mucho mejor en un jardín, podría abonar una cosecha de tomates". 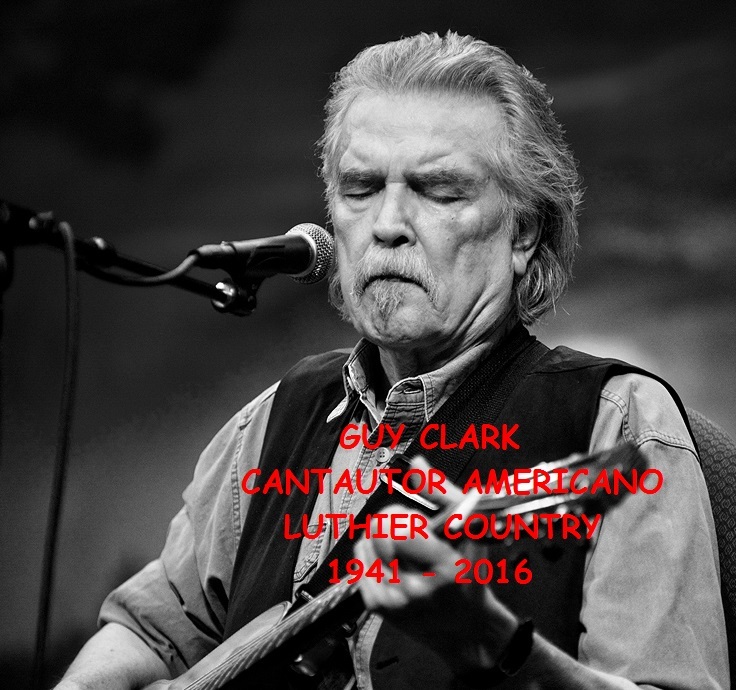 RECORDANDO A GUY CLARK.